Surrealist Kitteh looks like my orange tabbeh, Inji. Does she has a long lost brother in Rushya? 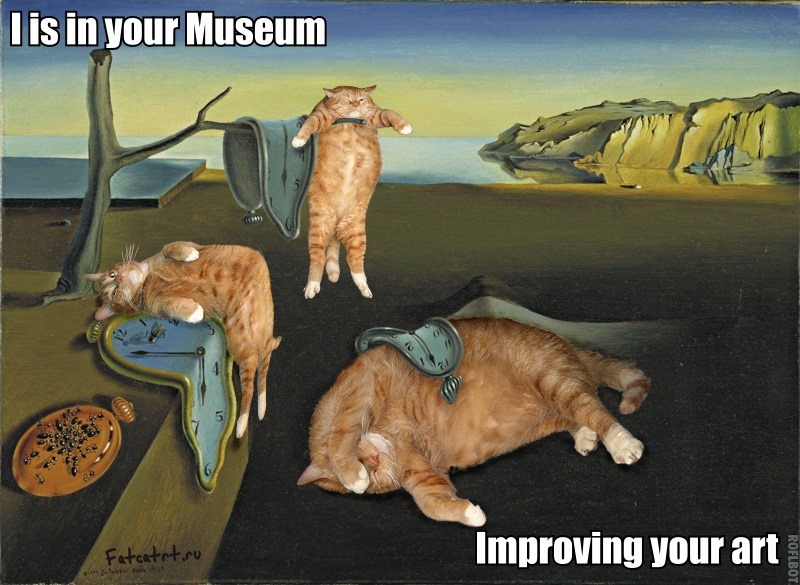 Zarathrustra, the mews to great artists, even has the same white chin and white gloves and sockses! 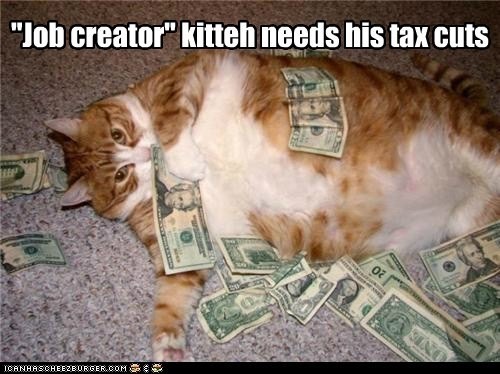 I lubs this kitteh and his blog. Best use of Photoshop that I have come across. Awesome article full of important information. Things are going really well in our household since Puppy E came home several weeks ago. And it’s not just good luck — we did plenty of preparation ahead of time to get the dogs accustomed to the routines, sounds, smells, and general presence of a baby in the house. But there’s a lot more to it than that, too. The biggest success factor, in our opinion, is to make sure that the dogs feel calm, relaxed, and safe in every single interaction with the baby. 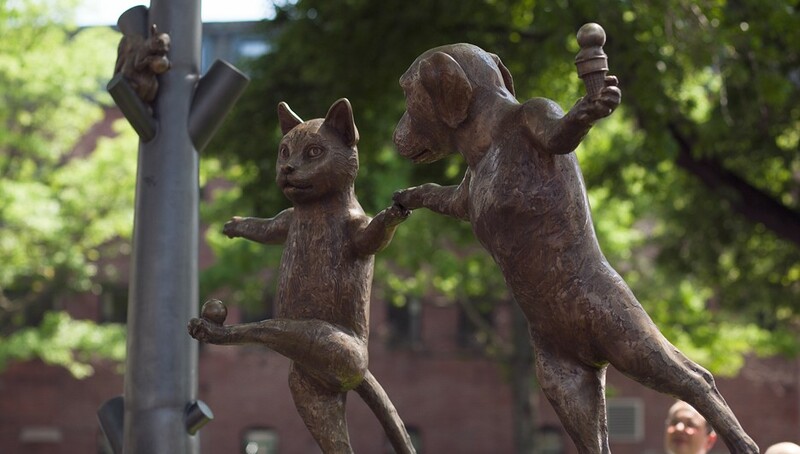 “Dancing with Spheres” sculpture by renowned sculptor David Phillips is now a permanent fixture in the dog play yard at the Animal Rescue League (ARL) of Boston. Way to go ARL Boston! To read the full story, click here. It is great to see a committed animal community! Animal Outreach of the Mother Lode is a local animal rescue in El Dorado county. Animal Outreach has been serving El Dorado county, Sacramento county and beyond, for over 20 years. Can you help support us? Animal Outreach needs volunteers in all areas of its operations from adoption counselors and foster parents for dogs and cats to cleaning crew for the shelter. Call 530.642.2287 or go online to animaloutreach.net to fill out an application. Animal Outreach of the Mother Lode also needs your financial support to continue its mission of saving the lives of pets in Northern California. Please join our Strut Your Mutt team (for dogs and cats) or sponsor an existing team member today. We truly appreciate your support.